"I've been alone all this while. The only thing with me is the darkness and perhaps the shadow, if only light would appear to grant me this only company. I've lost it all, not known to life nor death, not knowing of my true self and emotions. As I pray, I hope that freedom will come and receive me one day, revealing my inner thoughts and feelings." This wallie is for the free-waller current contest. The theme is ISOLATION. 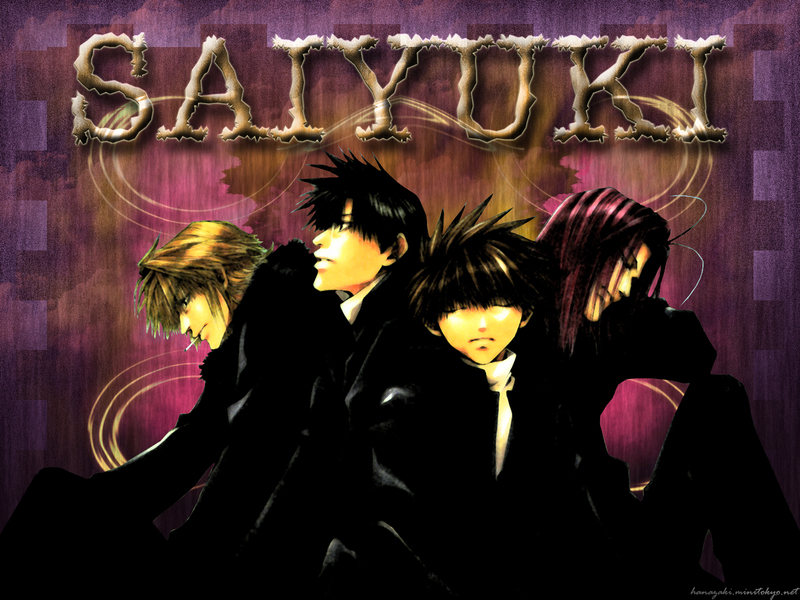 Choose saiyuki coz' it almost got the isolation feeling described above. I know many people describe isolation with one character but sometimes when you with so many people, you can feel alone too. Gaargh....what am I babbling about. So enjoy the wallie. Comment would be appreciated. I like how you made the scans look more like paintings and to me it does look you pulled of an isolated type wall. The only thing I really don't like is the font you used at the top. But that's pretty much it Hana-chan. Keep it up. i add to my fav coz i like SON GOkU!